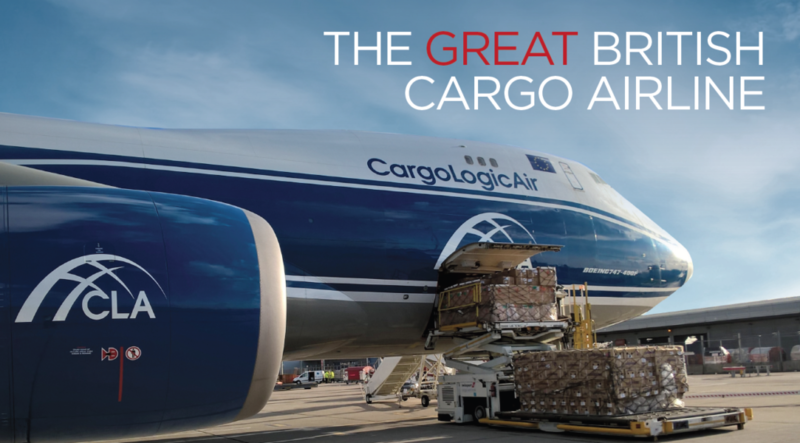 This year’s airshow will mark the Farnborough debut of CargoLogicAir (CLA). A great new British cargo airline. CLA have strong associations with Boeing who are celebrating their 100th birthday this year and are key customers for the latest B747-8F freighter. A CLA aircraft will be on static display and there will be live loading demos. Visit CLA at the Volga-Dnepr Cargo Village by Gate F.
Since the launch last year Design Inc have been supporting CLA with a range of brand assets and marketing tools including the new website, tone of voice, imagery guidelines and both print and digital advertising. For more information please visit cargologicair.com. As ever, Design Inc will be supporting a number of our clients at Farnborough. This will include OEMs including Airbus Helicopters, Bombardier Business Aircraft Division as well as many aerospace supply chain partners and aviation service companies. We wish all participants and their host (also our client) TAG Farnborough Airport every success for a this year’s show which also marks Boeing’s 100th birthday. To view our aerospace and aviation sector portfolio including Farnborough debut projects please click here. To discuss how we may support you in your Farnborough debut activities or participation in other trade shows please contact our MD Dan Gilbert.